Last week, Apple announced upgrades to the venerable Mac mini. And this upgrade turned a diminutive system into a powerhouse. So much so that I’m getting a ton of email about whether we can use the Mac mini for video editing. NOTE: Here’s a hands-on article on using the Mac mini for video editing with Final Cut Pro X. This provides real-world performance data. Like all computers, you get the best possible performance by buying a fully-tricked out, top of the line system. And, like all computers, that may require more money than you have to spend. So the purpose of this article is to help you prioritize balancing cost vs. performance. Based on my research, the new Mac mini is a solid machine for video editing, with the ability to configure the system with up to 64GB of RAM, a 6-core Intel i7 desktop-class processor, and a 10Gigabit Ethernet port. 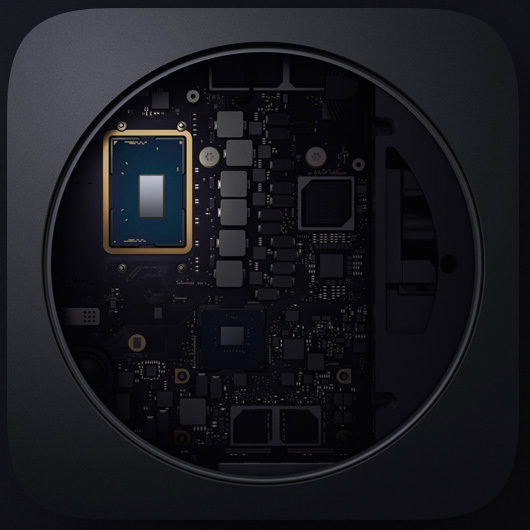 The I/O available on the new Mac mini allows users to connect a number of devices through its 4 Thunderbolt 3 ports, 2 USB-A ports, HDMI 2.0 port, and analog audio output jack. With these ports, you can connect a 5K display plus a separate 4K display, or up to three 4K displays. NOTE: The system offers Thunderbolt 3 (USB-C) ports, this means that you’ll need to purchase an adapter to connect any Thunderbolt 2 devices. These adapters are readily available from a number of vendors, including Apple, for about $50. Two displays with 4096-by-2304 resolution at 60Hz connected via Thunderbolt 3 plus one display with 4096-by-2160 resolution at 60Hz connected via HDMI 2.0. Increasingly, both Final Cut Pro X and Adobe Premiere Pro CC are leveraging the GPU for effects, rendering and export. However, the Mac mini does not give us an internal choice for GPU. While some video transcoding and compressing codecs are multi-threaded (which means they take advantage of multiple cores in a CPU), many others are not. These single-threaded codecs take advantage of pure CPU speed more than the GPU. UPDATE: I’ve been using the Mac mini outlined here for about two weeks, and running a series of media compression tests with it. Based on this, I’ve changed my recommendations for both RAM and SSD capacity. Here’s the key point behind deciding which GPU to get. A graphics processing unit is optimized for pixel manipulations: texturing, rendering, color grading, exporting… anything that involves manipulating the colors of pixels. All you are getting when you purchase a “higher-grade” GPU is more speed. Not better quality, just speed. If you are a student, a hobbyist, or someone with indeterminate deadlines, there’s no compelling reason to get a faster GPU; the faster speed doesn’t justify the cost. If you are someone living with constant deadlines, who does a lot of effects and color grading, and needs projects exported “yesterday or sooner,” then a faster GPU makes sense. One of the big limitations of the original Mac mini was its reliance on an Intel Iris graphics card. This was woefully underpowered for any serious graphics work, such as video editing. That changed with the latest release. All configurations of the new Mac mini use the Intel UHD Graphics 630 card. For editors who are working primarily in HD with limited motion graphics and effects, or who have deadlines that are flexible, the Intel UHD Graphics 630 will work well. For users who need faster performance, for example, working at higher resolutions such as 4K, with RAW video, or with more complex graphics and effects, the Blackmagic eGPU or newly announced Blackmagic eGPU Pro are great options for these types of graphics-intensive tasks. The updated eGPU Pro includes a Radeon RX Vega 56 graphics card with 8GB of high bandwidth memory. The card offers similar performance to the graphics card in iMac Pro. My recommendation is to go with the internal GPU, until you find yourself spending too much time waiting. A slower GPU does NOT mean you can’t edit, it simply means that tasks like rendering and exporting may take a little longer. If you need more speed, add an external GPU as your budget allows. The Mac mini ships with a minimum of 8 GB of RAM, which can be user-upgraded to 16, 32, or 64 GB. The good news here is that you can upgrade the RAM at any time, without needing to make a decision at the time of purchase. While you can buy RAM from Apple and have it factory-installed, you can save hundreds of dollars by buying RAM from reputable third-party companies like Crucial or OWC. UPDATE: My revised recommendation is that for a video compression system, 8 GB of RAM is fine. For video editing, more RAM is better. To keep costs low, you can purchase the minimum 8 GB configuration, then upgrade to at least 16 GB from a third-party source as you need more. If your workflow feels fast enough, you have enough RAM. If you are spending too much time waiting – add more. “If you want a plain and simple answer, then generally speaking, Core i7s are better than Core i5s, which are in turn better than Core i3s. Nope, Core i7 does not have seven cores nor does Core i3 have three cores. The numbers are simply indicative of their relative processing powers. “The more cores there are, the more tasks (known as threads) can be served at the same time. The lowest number of cores can be found in Core i3 CPUs, i.e., which have only two cores. Currently, all Core i3s are dual-core processors.” [i5 CPUs are quad core, but] “they don’t support Hyper-Threading [which is the ability of] a single core to serve multiple threads. “This is one of the many reasons why Core i7 processors are the creme de la creme. Not only are they quad cores, they also support Hyper-Threading. Thus, a total of eight threads can run on them at the same time. My recommendation is to upgrade to the 6-core i7. Video editing and compression, especially at larger frame sizes, requires a beefy processor. Also, it’s important to mention that these are all Intel 8th-generation 65W desktop-class processors — not mobile processors meant for notebook computers. The Mac mini comes with up to 2 TB of internal SSD which, according to reports, is blindingly fast. The problem is that in today’s media environment, 2 TB is not enough storage. I regularly shoot projects that take multiple terabytes of storage. So, even if I invested in a 2 TB SSD, I’d still need to buy external storage. Remember, also, as your frame sizes increase or you move to HDR or high-bit-depth media, a single spinning hard drive won’t be enough. You’ll either need to purchase a RAID or another SSD. Frankly, for a full suite of editing apps, plus the macOS, you really only need 100 GB of storage. So if you are on a tight budget, a 256 GB SSD will be enough. Personally, I like having a bit more space for exports and working files. UPDATE My recommendation is the 512 GB SSD and reserve it for the macOS, applications and general workspace. Then, store all your and projects on externally connected media using Thunderbolt 3; preferably a RAID. After using this system for two weeks specifically for video compression, I find that the 512 SSD is the sweet spot for storage. 256 GB is acceptable, but very limiting when you need to create high-quality work files. 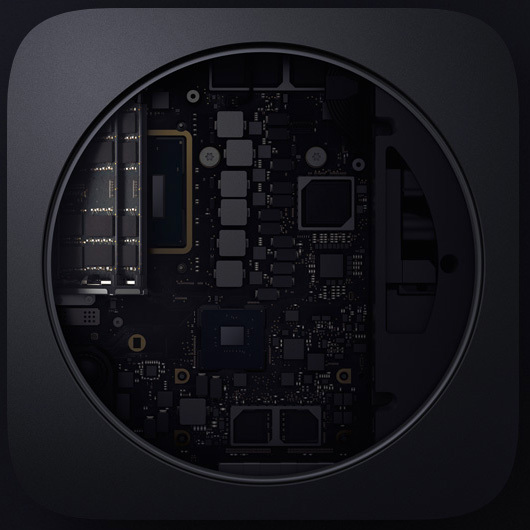 For the first time since the iMac Pro, the new Mac mini includes the option to install 10 Gb Ethernet port. This option is especially useful for users who keep media on shared storage or for configurations that require high-bandwidth networking today or in the future. Cat 6 or 6e cabling between the switch and your computer. I fully applaud Apple for adding this connection – it is valuable and needed! However, unless the rest of your network also supports 10 Gb Ethernet – or will be upgraded to do so – adding this option won’t make any difference in your data transfer speeds. This screen shot illustrates what I recommend. Regardless of which Mac mini you start with, you’ll end up at the same configuration for the same price: $1,499 (US). Also, remember that the Mac mini is just the computer, you’ll also need to purchase a monitor, keyboard and mouse. UPDATE: This is the system I purchased and I’m very happy with the system. It is a workhorse for media compression – which is my principle reason for buying the unit. I only use it as a back-up system for video editing. I’m also planning on using it as a media asset management server, I’ll have more on that after the first of the year. Great write up! You clearly and concisely answered all of my concerns about whether I should seriously consider the new Mac Mini as a contender for editing. I’m currently editing in FCPX on an early 2015 13″ rMBP. It gets the job done while allowing me to be mobile when necessary. However, I do feel like I would benefit from a more powerful dedicated editing machine. Already have a Dell P2715Q and don’t want to fork out for an iMac. Your recommended configuration appears to fit the bill quite nicely. Cheers! Thanks for the great article. Good solid information. Buying third party RAM after purchase always seems to make sense economically. But after watching the AppleInsider “how to” video below, I’d be inclined to pay Apple to pre-install more RAM. As you will see, upgrading memory is not as simple as, say a 2009 vintage Mac Pro. Plus you need to have special tools. Good information as always. Thanks. There will be a lot of editors who will be going this route and posting their experiences Im sure. Great write-up! Have you tested this config yet? Also, do you have an interest in testing Premiere Pro as well? I just got my Mac Mini yesterday, so I haven’t “tested” anything – yet. However, my recommendations are the same for both Premiere and Final Cut, as outlined in this article. This is the BEST review by far of the Mac Mini. Much more comprehensive and useful – not an inane “unboxing” or the thousandth review of the mini’s specs that are filling the internet. This actually goes into it’s usage as a video editing machine and helped me decide to go with it. Thank-you very much! I’m glad you liked it. I enjoy putting these together. All in all this is an extremely powerful machine! Hey Larry, thanks for this great rundown. Have you been able to install Avid on the machine you describe? They don’t officially support it yet but I’m curious if you’ve tried. No, because Avid is not an application that I use. 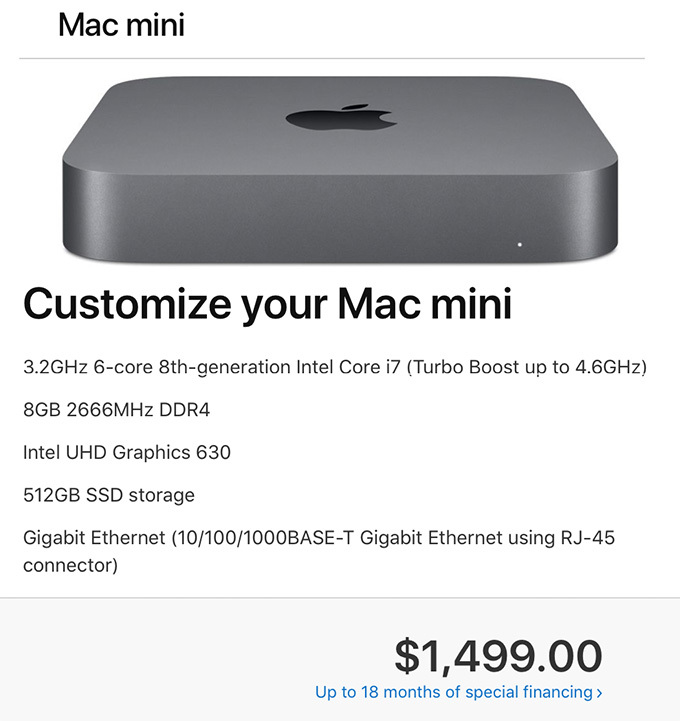 I just ordered this exact Mac mini 2018 to replace my aging 2008 iMac. What are your thoughts on a suitable monitor for photo & video editing to pair with it? Preferably the best bang for the buck. 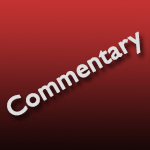 I don’t have an opinion about monitors – I buy them so seldom that I don’t have any good advice.